- Events, boosts, quests and perks for your faction that add new layers of narrative play and challenge to your experience. - Solo / AI play, letting players go head to head with the wasteland itself. This includes specific AI scenarios and full rules for using AI in the game. - Settlement Mode for all other modes of play, allowing you to build up a personal fortress or ramshackle village to your own specifications. This mode also gives players the rules for how your evolving settlement will interact with the games you play, the forces you can take and how your victories or defeats affect your homestead. 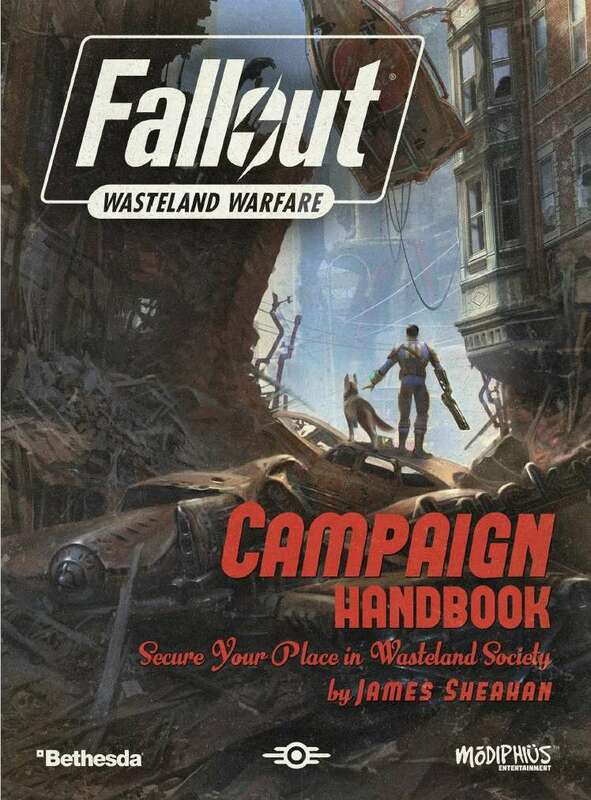 - A list of linked tutorial scenarios that take players from the start of the Core Rule book to being able to take on anything the wasteland can throw at you. - Please note the download does not include the AI, Quest, Event, Boosts and Perks cards - these are only available in print in the Fallout: Wasteland Warfare Two Player Starter Set available in retail or from Modiphius. This PDF is complimented with the Core Rulebook PDF (free to download) and the ‘Getting Acclimated’ learning to play guide (also free to download).